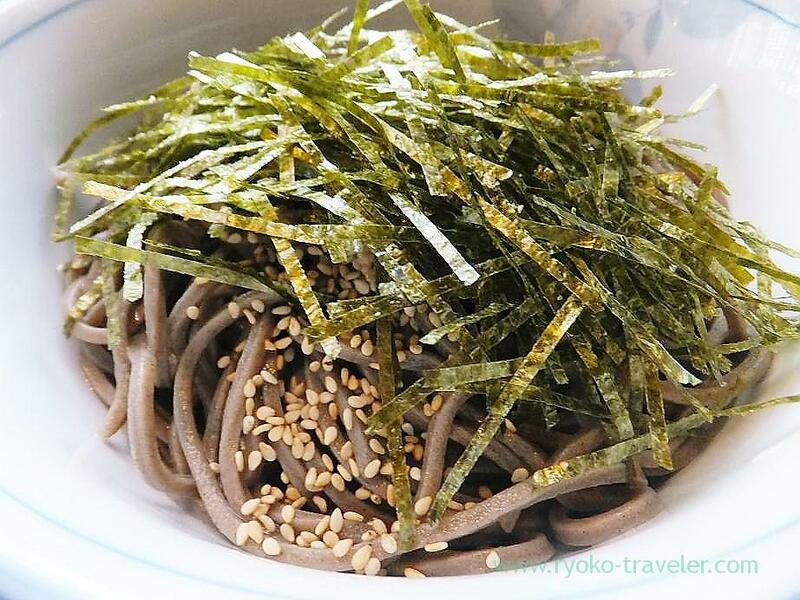 Harunoya start a revolution of soba ! 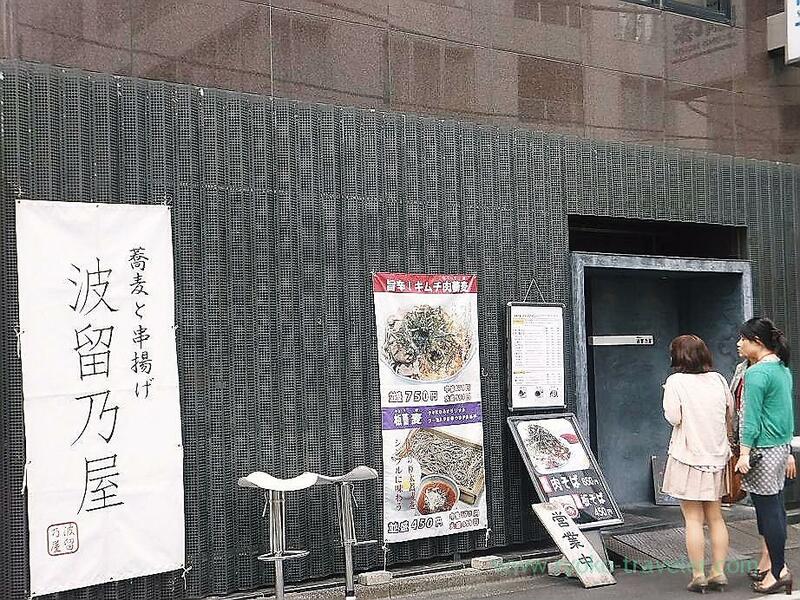 I went to a novel soba shop in Daimon area the other day. What is the novel soba ?? At first, this soba. So elastic and chewy. Plenty of seaweed and sesami on it. My soba was Chicken soba (鶏そば, 650 yen). Regular size. 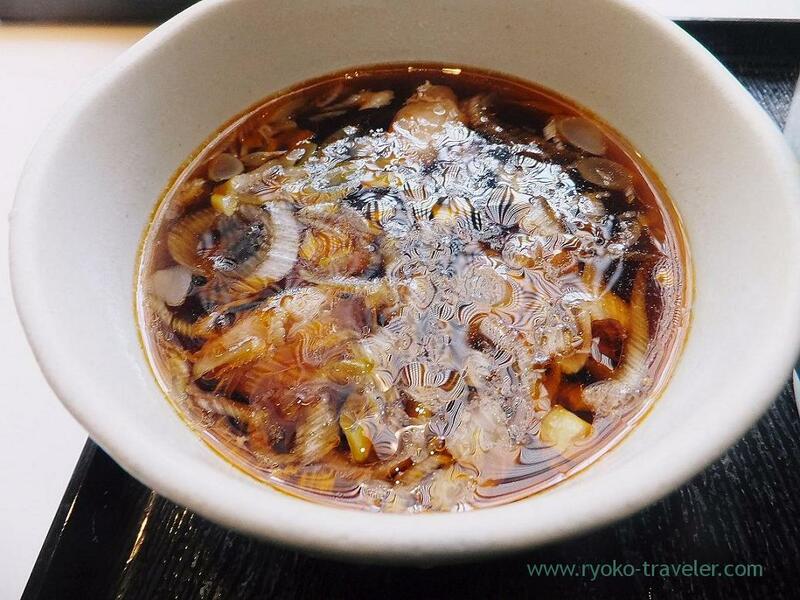 The soup have chili oil and it wasn’t so spicy, but the chili oil soup completely diminished the taste of the soba ! Also this soup have chicken broth. But I didn’t find the taste at all ! Raw eggs and tempura bits (agedama) put on the table is included the price of soba. So, we can eat them as we like. Well, I’m thinking about tomorrow’s lunch. I have to use retort pouch spaghetti sauce. So maybe I’ll have lunch at home.